Many have explored the crossover between leftfield techno and breakbeat, yet none quite like Shelley Parker. Tracks like ‘Beachy Head’, ‘Catch’ or ‘Endgame’ from the recent Towards Collapse compilation see breaks turned to raw, skeletal percussive weapons, bold in their stark, bare-bones approach. Her latest EP comes courtesy of London flagship label Hessle Audio — a name associated with ever-consistent quality over the 11 years it has been in operation. Hessle made their name providing an alternative take on the dubstep popular in the late ’00s, and these days are giving much the same treatment to the assorted dancefloor styles popular at the moment. Given this, Parker makes a fitting selection for the label, as her work stretches far beyond the usual boundaries of dancefloor production. 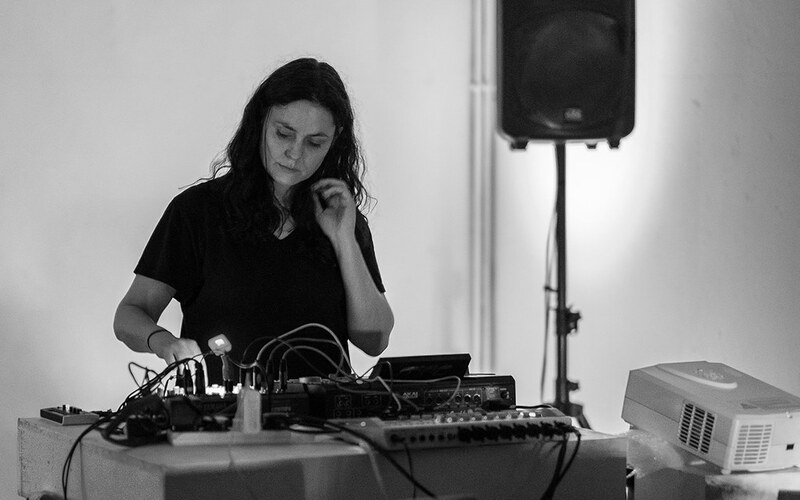 Over the past few years she has worked on scores for choreographers, composed for theatre productions and created sound installations following commissions from the likes of the Victoria & Albert Museum and the De la Warr Pavilion in East Sussex. The title track makes a good mission statement for the release, flitting between crumpled half-step and barrelling percussive assaults. Creaking atmospherics and oddball chimes resonate in the backdrop, calling to mind the granular technoid experiments of Electric Indigo or Retina.it. At other points the EP feels fuzzy and slightly out of grasp, reminiscent of releases on the Chain Reaction imprint. ‘Masonry Pier’ sees sun-blushed washes of ambience underpinned by twitching found-sound rhythms and staggered kick drums, while ‘Angel Oak’ is a slow-motion exodus into ghostly dub textures and clattering, brittle rhythmic loops. The EP is also graced with a robust reimagining of the track by Sam Smith aka Ploy. The Bristolian producer puts the original under a heat lamp, reducing the vapourous textures to a tautened, swaggering percussive workout. Parker has turned in an EP which evokes the freehand, improvisational quality of her live sets while sidestepping easy-categorisation. Rhythmic loops are stretched out to a languid drawl, kicks clatter like ageing machinery and atmospheres burble and hiss like a steam train churning steadily towards its destination. It’s pure factory music to put it simply — rough around the edges in an undeniably seductive manner.